Are there indexes to vital records? Are there other sources of vital records? Most original vital records in Connecticut are maintained at the individual towns where the event occurred. 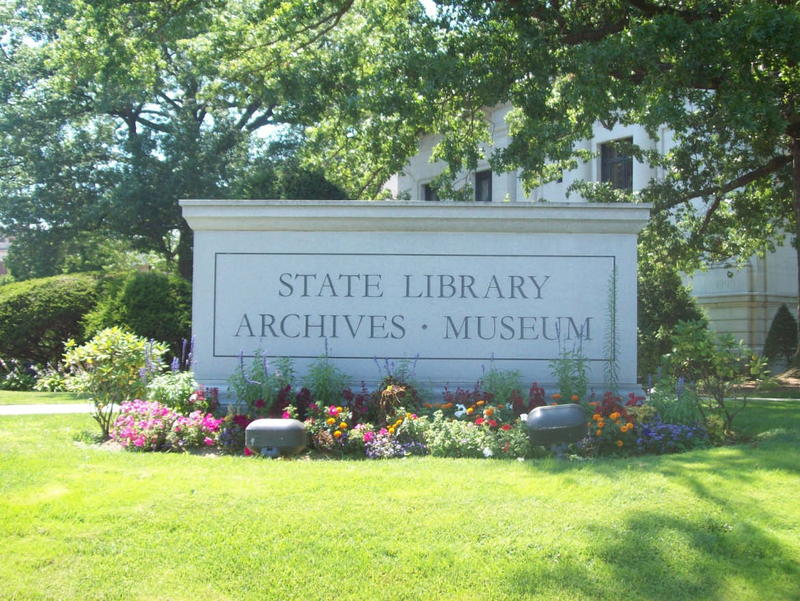 Here at the CT State Library we have microfilm copies of most towns' vital records from the colonial times to circa 1900. See our publication "Connecticut Town Guides" linked below for more information on the microfilms we hold. Beginning in 1897, copies were sent to the State Department of Public Health, Vital Records Division. To obtain a copy of a current or 20th century birth, marriage, or death record, please contact the town or the Department of Public Health. Are there any restrictions on Connecticut vital records? Yes. 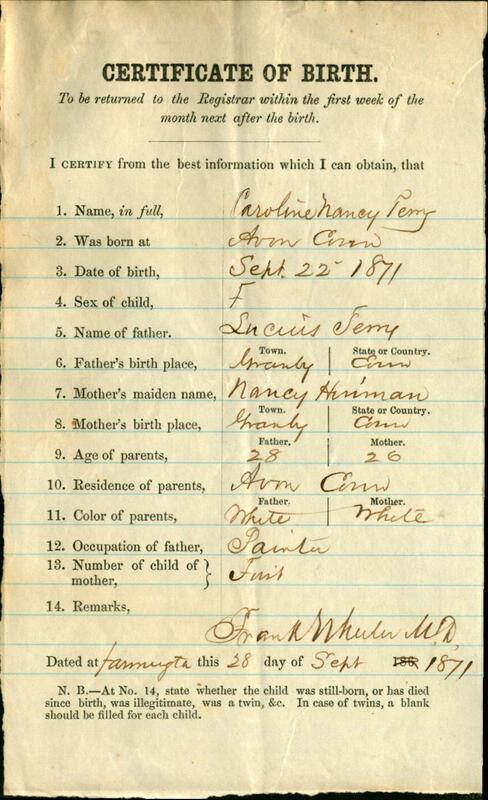 Under Connecticut statutes, birth records less than 100 years old are restricted due to privacy. Please see Sections 7-51 and 7-51a of the Connecticut Vital Records Access Laws. A list of Genealogical societies authorized to do business in Connecticut can be found at the link below.